These days you can take a quick look at the shelves of any store and see the words gluten free everywhere. But how do you know if products are truly gluten free? Hidden gluten is often lurking in unknown places and accidentally eating gluten can be quite a painful setback if you are gluten intolerant or have coeliac disease. This is where newbies to the gluten free world often have problems. So if you’re new to the gluten free thing, then listen up, because this blog is for you! Of course one way to avoid hidden gluten is to check for certification. Coeliac Australia‘s common symbol is a good thing to look for on packaging. However not all products contain the seal of approval. And when you’re eating out, you don’t get to see the product labels at all. But all is not lost dear readers, because as a special treat to help you find tricky hidden gluten, today’s blog will share a little sneak peek at my new eBook Going Gluten Free Permanently. Of course, there’s loads more information in my book so be sure to visit my blog again on Monday 20th April 2015 (the official release date!). Not only will you get this clever hidden gluten information, you’ll also get step by step guidance on how you can make the change to go gluten free for good. No more mistakes or struggling to make the change stick. Oh and be sure to keep reading, because I have another special treat at the end of this blog! They may seem quite different to normal bread, and be advertised as healthy bread alternatives, but they still contain gluten. Unless specifically labeled as rice noodles or gluten free noodles, these sneaky little noodles are often made from wheat based flours and hence contain gluten. Two-minute noodles can have added gluten in the sauce/seasoning/flavourings too. A shifty way to hide gluten is in the flavouring or thickeners used in gravy and ready-made stocks. Gluten can also be hidden in the ingredients of everyday sauces as thickeners, soy sauce, mustard or vinegar. This includes BBQ sauce, Worcestershire sauce, stirfry sauce and store-bought marinades. You wouldn’t think soy has anything to do with wheat, but most soy sauces do contain gluten in the form of fermented wheat. A number of additives used as stabilizers can be found in icecreams to keep ingredients that would normally separate, stay together. If not coated in breadcrumbs, they often contain wheat or crumbs as a filler. Often coated in flour to make them extra crispy, they can also be cooked in oil that was used to cook crumbed or breaded products containing gluten and thus contaminate the oil. Even though it’s not crumbed or battered, check the seafood has not been dusted with flour before grilling, or cooked on a plate used for foods containing gluten. A lot of vegan products contain wheat. Store bought salad dressings can have thickeners containing gluten. Instant coffee, cocoa powder, flavoured, malted, powdered and chocolate milk may all contain gluten. Generally malt is made from barley or wheat, so malted milk could contain gluten. Thickeners in low fat dairy may contain gluten. Ambiguous ingredients such as flavouring, flavours, natural flavours and artificial flavouring are commonly found in potato chips and crisps and can be hidden sources of gluten. Barley malt is also a common ingredient in the flavouring of chips. Prepacked roasted nuts, especially those with flavouring or spices, can also contain wheat as a dusting/coating or within the flavouring. When first embarking on a gluten free journey, there is a lot to take in, so if you’re feeling a little overwhelmed, check back here on Monday 20th April 2015 to grab a copy of my eBook Going Gluten Free Permanently! It contains all the information you will need to go gluten free with ease, including recipes and product recommendations so you never have to worry about hidden gluten. It also contains loads of information to help you eat out at restaurants without gluten. 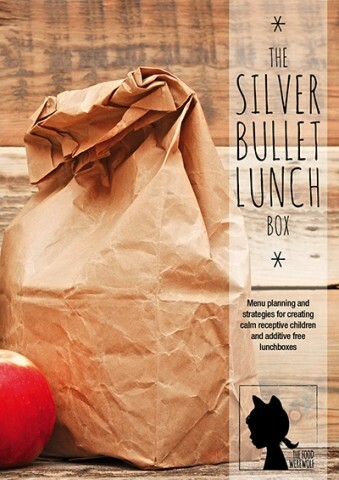 If you want to be the first to buy a copy of my eBook, click here to subscribe and you’ll receive a free mini eBook on School Lunch Ideas plus an extra special gift on launch day to help with your purchase! 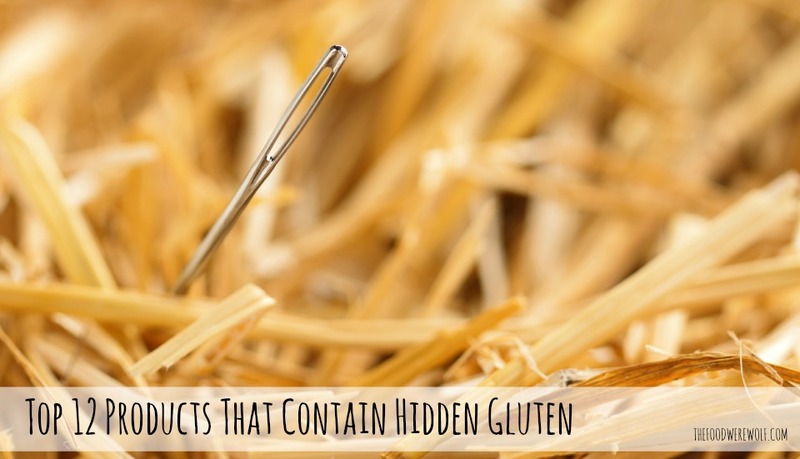 Hidden gluten could be lurking anywhere… be diligent and check labels and ingredients!